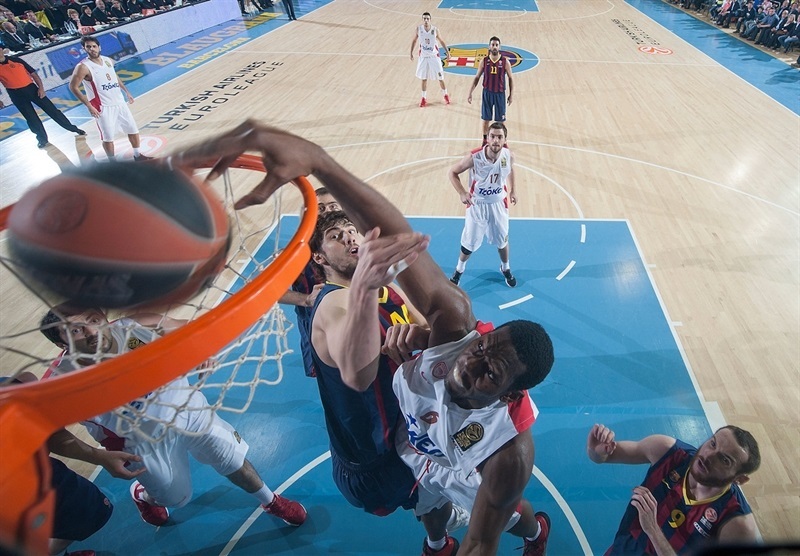 FC Barcelona locked up home-court advantage for the Turkish Airlines Euroleague playoffs by downing two-time defending champions Olympiacos Piraeus 70-58 at Palau Blaugrana in Top 16 Group E on Friday. 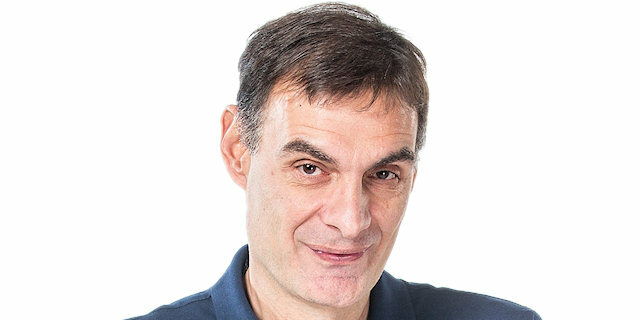 Barcelona improved to 10-0, registered its 22nd consecutive Top 16 win and its 30th straight Top 16 home triumph - both all-time Euroleague records. Olympiacos dropped to 4-7 and is in a four-game losing streak. It was a special night for Juan Carlos Navarro, who became the all-time Euroleague leader in games played (253, surpassing Theo Papaloukas, who attended the game) and minutes played (6,564, beating J.R. Holden). Brad Oleson paced the winners with 15 points off the bench, Ante Tomic tallied 14 points and 11 rebounds and Erazem Lorbek finished with 13 points for the winners. 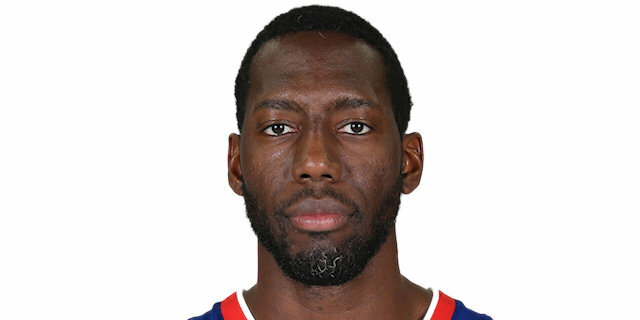 Bryant Dunston paced the Reds with 18 points and Brent Petway scored 17. In a small ceremony before the game. 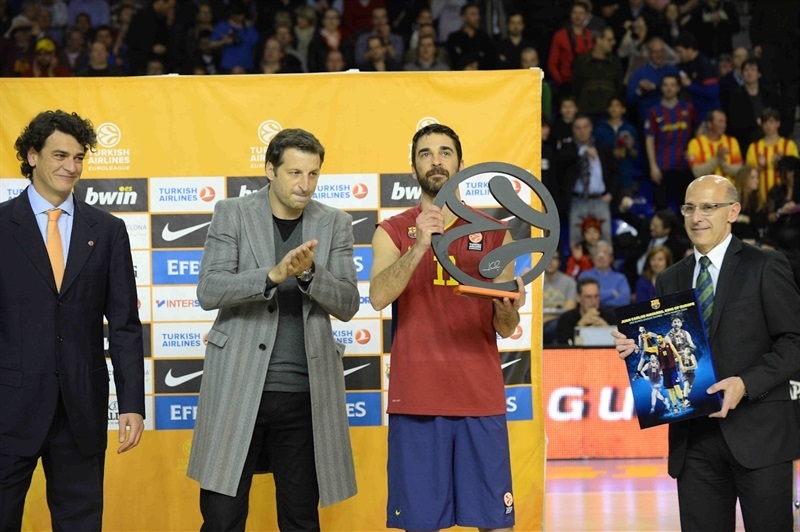 Euroleague Basketball Competitions Director Diego Guillen, FC Barcelona President Josep Maria Bartomeu and Euroleague Basketball legend Theodoros Papaloukas – the previous holder of the record with his 252 games played – honored Navarro by awarding him several gifts to a standing ovation of his fans on the stands. Aside from the gifts, a video was played on the Balugrana screens with several of Navarro's colleagues and friends congratulating him on his achievement. Barcelona trailed 38-39 early in the second half but Lorbek and Oleson led the hosts to a 55-44 advantage through three quarters. Barca boosted its margin to 65-49 and never looked back. Dunston got Olympiacos going with a jump hook that Tomic erased at the other end. Erazem Lorbek took over with a big basket in the low post. Dunston provided a highlight with a one-handed slam before a running jumper by Marcelinho Huertas put Barcelona back ahead, 6-4. Stratos Perperoglou fed Giorgi Shermadini for an easy layup, as Barcelona tried to get Tomic involved without much success. Dunston kept pushing Olympiacos with a baseline jumper, but Tomic made free throws and collected a steal that allowed Huertas to put the hosts back ahead, 10-8. Olympiacos was forced to use long possessions without good shot selection. Tomic scored down low and a third-chance tip-in by Shermadini kept the Reds within 12-10. Huertas stepped up with a three-point play that Brent Petway matched with a triple. Jacob Pullen struck from downtown to give Barcelona an 18-13 lead after 10 minutes. 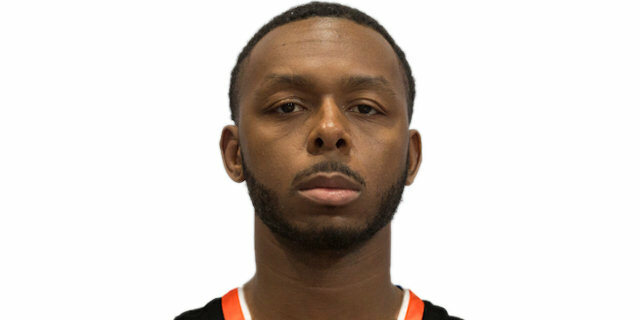 Mardy Collins scored in penetration early in the second quarter and free throws by Petway brought Olympiacos as close as 18-17. Barcelona kept missing shots from long distance and a jumper by Matt Lojeski put the Reds back ahead, 18-19, after a 0-6 run. Brad Oleson tried to change things with a six-meter jumper and Navarro found his first points for a 22-19 Barcelona edge. 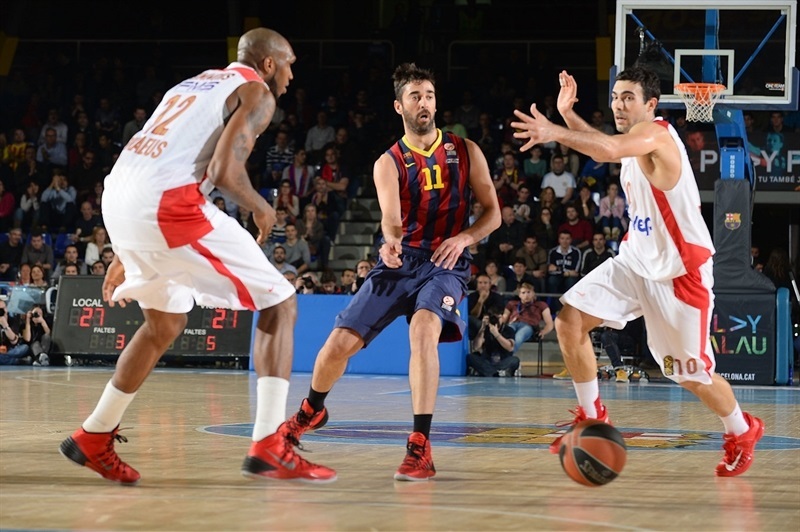 Navarro added a layup in transition and a free throw by Lorbek gave Barcelona fresh air at 25-19. 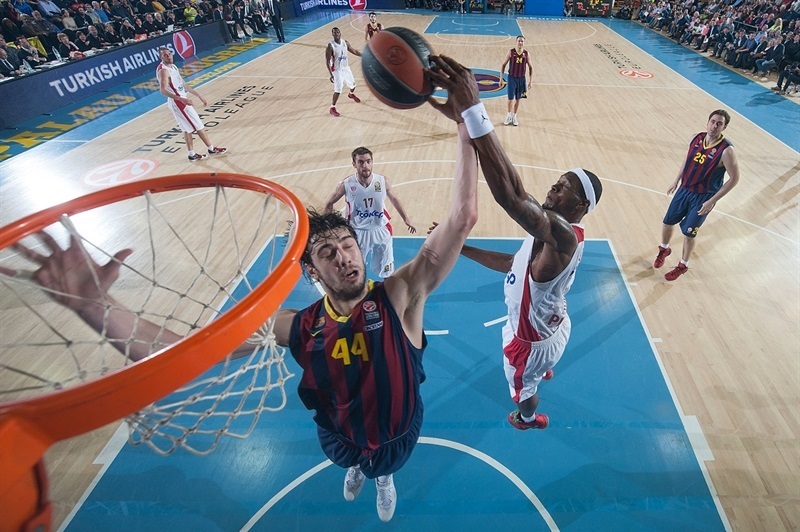 Kostas Sloukas hit a stop-and-pop jumper, but Huertas found Tomic for a two-handed dunk. Barcelona tried to play more aggressive once Olympiacos entered the foul penalty. Lorbek ignited the crowd with a corner three-pointer that capped a 12-2 run, 30-21. Dunston followed an alley-oop slam with a huge dunk in traffic, but Navarro downed a three-pointer for a 33-25 Barcelona lead. Another dunk by Dunston fixed the halftime score at 33-27. Dunston sank free throws right after the break and a block by Petway kept the Reds' defensive momentum going. 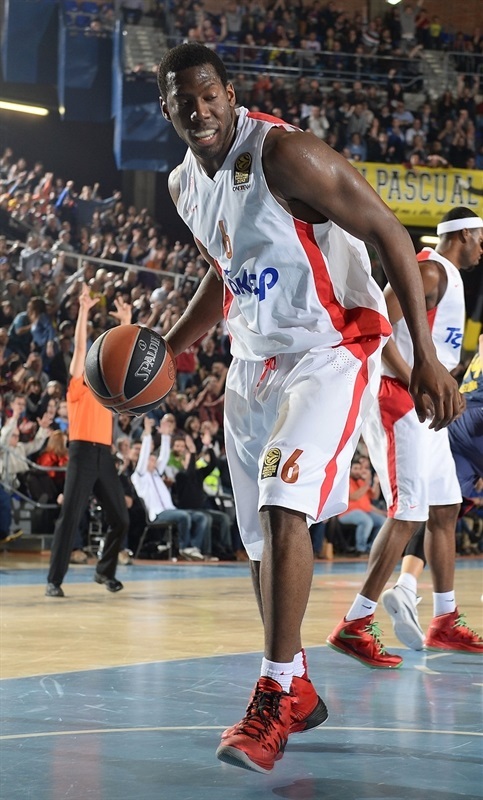 Petway buried a three-pointer that brought Olympiacos within 33-32, after a 0-7 run. Tomic scored down, low but Lojeski followed a triple with a one-handed floater to complete the guests' comeback, 35-37, midway through the third quarter. 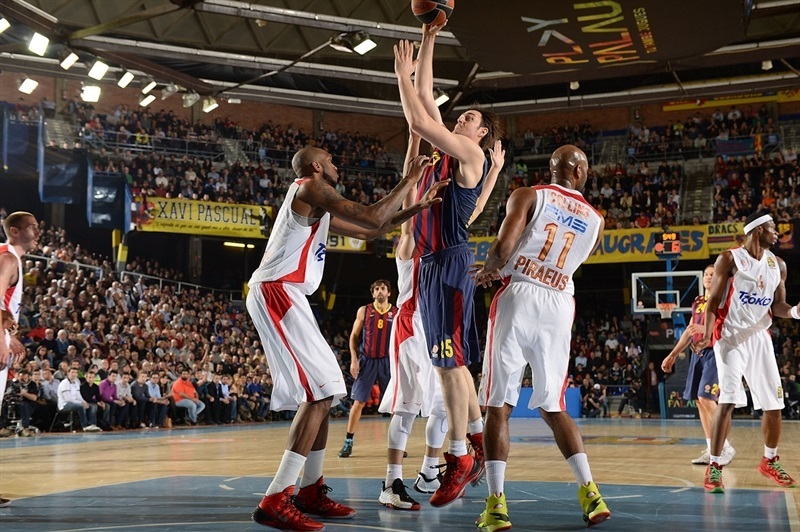 Lorbek rescued Barcelona with a catch-and-shoot three-pointer from the left wing. After Shermadini made free throws, Tomic scored down low and a 24-second turnover caused Olympiacos to call timeout at 40-39. 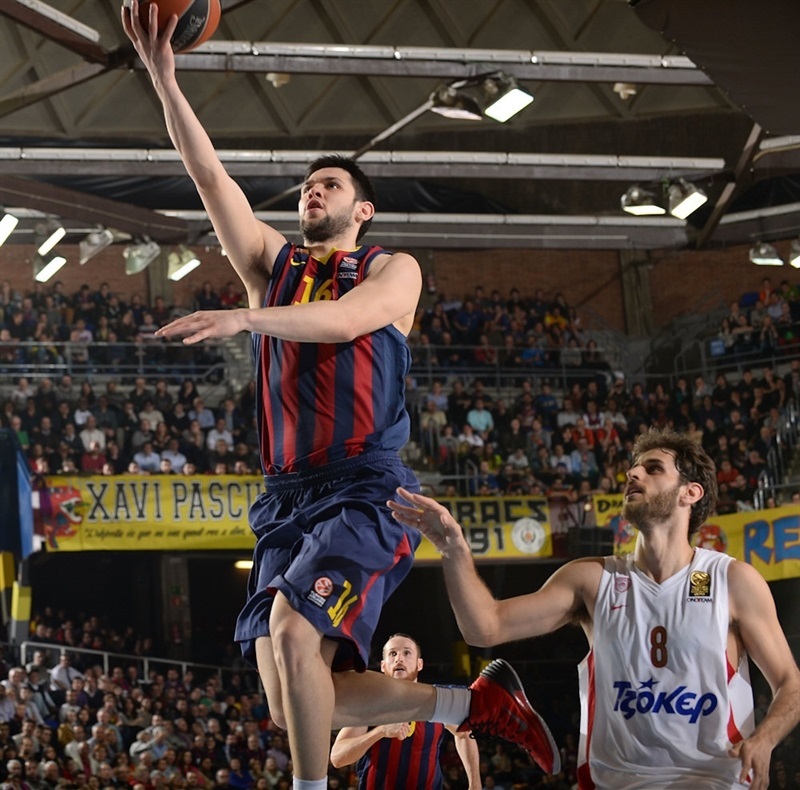 Tomic sank a turnaround jumper and foul shots by Lorbek boosted Barcelona's lead to 44-39. Petway shocked the crowd with a wild, off-balance three-pointer. Oleson did better with back-to-back shots from downtown that made it an 8-point game. Oleson, Petway and Alex Abrines made free throws and a buzzer-beating triple by Pullen gave Barcelona a double-digit lead, 55-44. Pullen took over with a wild driving layup early in the fourth quarter. Dunston made free throws, as Barcelona tried to use longer possessions to run the game clock down. Olympiacos kept powering the offensive glass, but shots did not fall in. Barcelona also struggled to score, however, and a free throw by Vangelis Mantzaris gave the Reds hope, 57-47, with over six minutes to go. Tomic stepped up with a tip-in, but Sloukas hit a close shot. 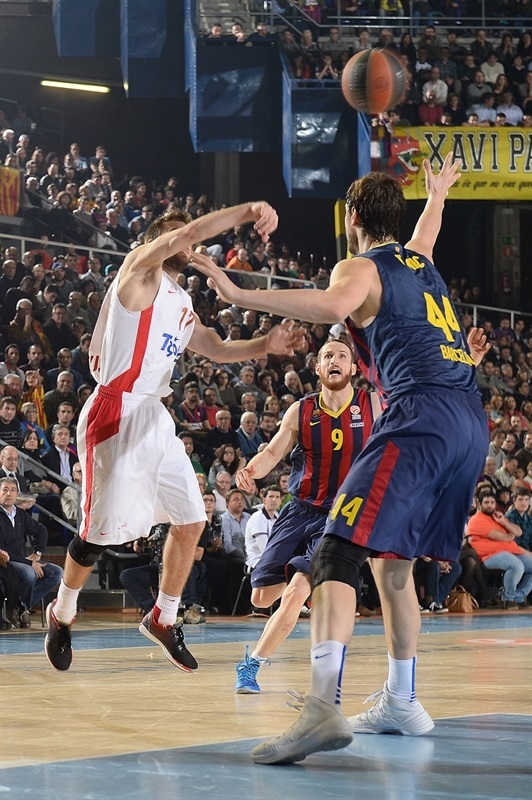 A pair of three-pointer by Oleson boosted Barcelona's lead to 65-49 with four minutes remaining. Dunston made free throws, but didn't find much help around. By the time Abrines took over with an alley-oop slam, everything was said and done. Barcelona grabbed home-court advantage for the playoffs on a special night for its homegrown legend. "I am happy with this win. I want to thank our fans for their support tonight. It was an interesting night. 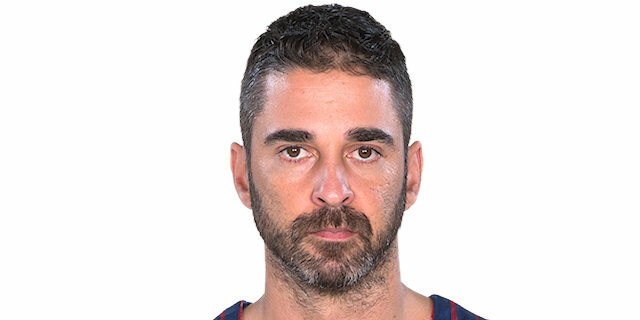 I would like to congratulate Juan Carlos Navarro for his achievements and also the Euroleague for organizing it with us. He deserves it all; Juan Carlos leads another category in this competition. We won this game by being solid. We had chances to score 10-12 fast break points that we didn't get and Olympiacos did not allow us to get a good game rhythm, especially in the first half, especially when it came to organizing the game. Olympiacos had a good start in the second half, but we dominated the game after that, with good rhythm, speed, good percentages, doing everything better. We only had 4 second-half turnovers. This is an important win for what it comes with it. We have locked up home-court advantage in the playoffs, which considering the group we are in and its toughness, is a matter of satisfaction with four games yet to be played. We managed to beat the two-time Euroleague champions here, but also in their court, in a game played point to point early in the Top 16. We also did that last season, but they ended up winning the title. We have to carry on growing and getting better." "We tried to play well, especially on defense, but did not have a good game on offense. We had a low percentage in three-point shots. You cannot beat a team like this in a court like this with that three-point percentage. Barcelona got good answers from all of its players, also the ones coming off the bench. We were without Spanoulis and Printezis and our new players don't have that much experience. We still have four games left in the Top 16 and must win them all if we want to make it to the playoffs. Congratulations to Barcelona for its good game. Navarro is a great player and a great athlete; he showed it in Barcelona and with his national team. 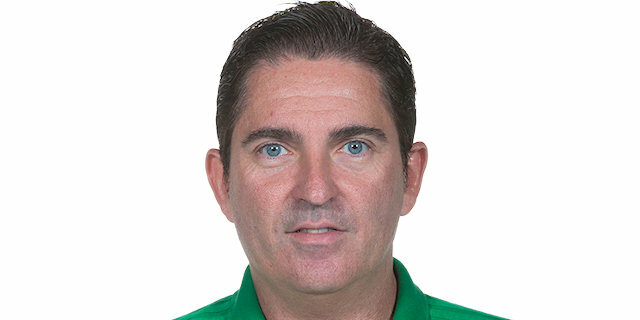 Everyone in our team and in Europe respects Navarro a lot." "I am very happy for breaking this record and getting this win that improves our winning streak in the Top 16. Palau Blaugrana was amazing and the tribute was great. I didn't expect this video featuring so many friends. I have to thank the Euroleague and my club for organizing this. Like I said yesterday, I hope that I can play many more games. I have to thank Theo Papaloukas for travelling all the way here. It is an honor because he is a big-time player in this league. It is a great detail to receive that award from him. We are on a good streak, but still have some games to play in the Top 16. If we win all of our home games, we will make it to the Final Four, which is what everybody wants." "We played really well. It was a tough game at first; they really do a good job of pressuring and staying in the game by rebounding and stuff like that, but we have a lot of depth and we kind of wore them down towards the second half and we made a good run and we spread the game out a little bit. I’m always a confident player; that’s one thing that’s always going to be the same about me. Coach is giving me an opportunity to play a little bit more and I’m just trying to take advantage of it. I’m just trying to help my team win. " "We moved the ball and attacked the closeouts. They are a good defensive team and we wanted to make sure that we played good defense on our end and attacked the basket at the other end. We didn’t shoot that well from three, so the key was to attack the rim. It is very difficult without two key players. We gotta step up and find a way to win. Regardless of injuries or whatever, we can’t make any excuses. There is definitely a big challenge ahead of us, but we’re ready to beat that challenge. "